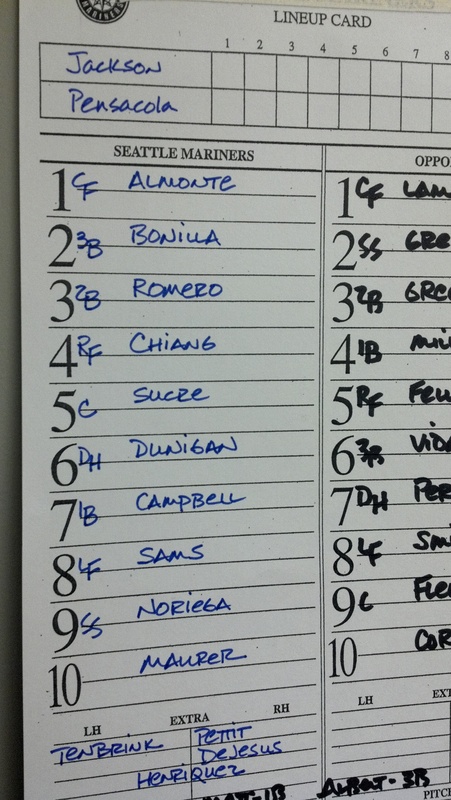 TODAY’S GAME:The Generals look to win their 12th series tonight in game 4 of the 5-game set in Pensacola. The Generals lead the series 2-1 and season series 8-5. Jackson is 21-17 on the road this season and 4-4 in games played in Pensacola. GENERALS RECAP: Lefty Anthony Fernandez tossed a two-hit shutout on Thursday night in Pensacola, as Jackson blanked the Blue Wahoos, 6-0. 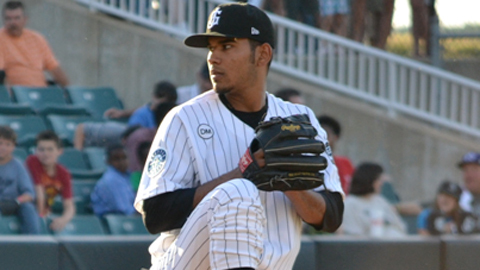 Fernandez logged his second straight complete game to start his Double-A career, allowing just one run. The 22-year-old righty struck out eight and walked one, facing just three over the minimum. Fernandez got offensive help in the top of the third when 3B Nate Tenbrink blasted his second homer of the series to left, a 2-run shot giving Jackson an early 2-0 advantage. In the fifth, DH Joe Dunigan and C Ralph Henriquez opened the inning with singles. After two strikeouts, LF Chris Pettit delivered an RBI single scoring Dunigan, extending the lead to 3-0. The next batter, 2B Stefen Romero drilled a 3-run homer off the left field foul pole to give Jackson a 6-0 edge. Chris Pettit was 2-for-5 in the game and Ralph Henriquez finished the night 2-for-4 to lead the Generals offensively. TOPS IN THE LEAGUE: The Generals 47-31 record is the best in the Southern League. Also, Jackson ranks first in pitching, with a 3.09 ERA. Jackson is T-3rd in the league in batting, with a .262 team average. The Generals lead the league with 59 home runs and rank 2nd in the league with 85 stolen bases. VIVA LA ROMERO: INF Stefen Romero has hit safely in 7 of 8 games and 5 multi-hit games with Jackson since his promotion from High Desert. During this stretch is batting .400 (12×30) with 5 runs scored, 3 doubles, 1 triple, 2 home runs and 11 RBI. Combined Romero is batting .365 this season. WHO’S HOT? : OF Chih-Hsien Chiang has hit safely in 11 of 12 games with 6 multi-hit contests, batting .349 (17×48) with 3 runs scored, 8 doubles and 11 RBI. Chiang has a season-high 7-game hitting streak. PANK TO THE FUTURE…WALKER TOO: Generals Manager Jim Pankovits was selected as a coach for the U.S. All-Star team and will coach along side manager George Brett. RHP Taijuan Walker was selected to play for the U.S. squad in the 14th annual SiriusXM All-Star Futures Game to be played July 8 at Kauffman Stadium in Kansas City (2 p.m. PT/ESPN2, MLB Network Radio) as part of All-Star weekend. Walker is 4-3 with a 3.79 ERA (24 ER, 57.0 IP) in 12 starts with Jackson. He has limited opponents to a .249 (53×247) average, while walking 23 and striking out 59 in 57.0 innings. CAPPING OFF GAMES: RH Carter Capps has not allowed an earned run in his last 24.1 innings in relief (18 games). This season he is 2-2 with 12 saves and a 1.22 ERA (5 ER, 37.0 IP). He has limited opponents to a .197 (27×137) average, while walking 10 and striking out 57. Capps has held opponents scoreless in 24 of 27 relief appearances this season. His 13.86 strikeouts per 9.0 innings currently ranks 2nd amongst all relievers in the Southern League.